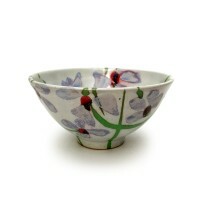 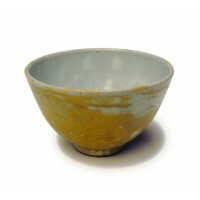 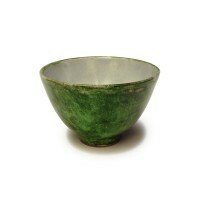 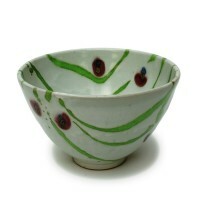 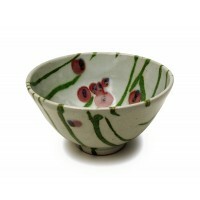 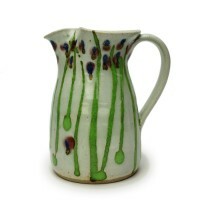 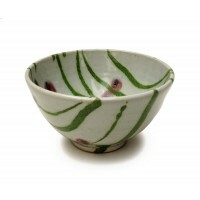 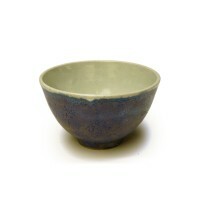 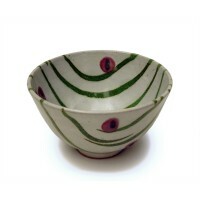 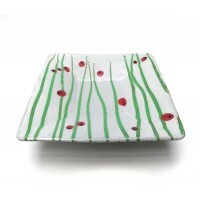 A hand thrown stoneware bowl with green glaze, resist decorated with a white leaf motif. 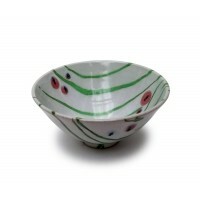 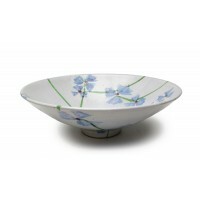 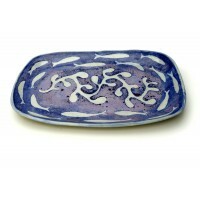 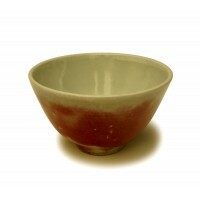 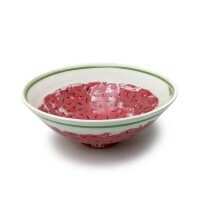 The bowl can be used for serving salad or snacks and will add a beautiful accent to your table setting. 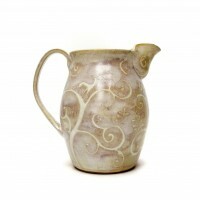 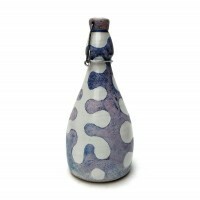 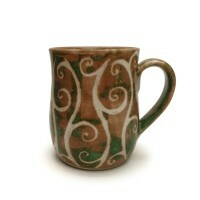 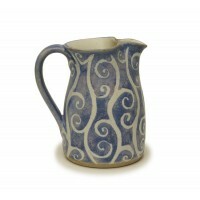 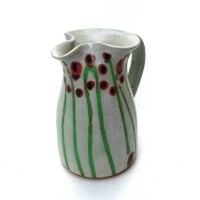 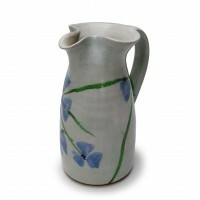 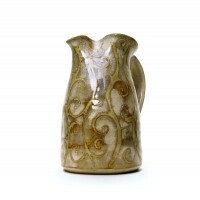 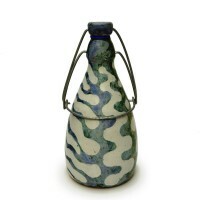 Size: Diameter 7.5" x Height 3.5".